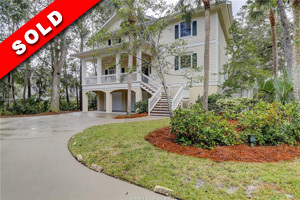 5th Row Oceanside Home with 5 bedrooms, 5 full baths & 3 half baths & a 2 car side entry garage. Unique home because the 5th bedroom is a separate cottage with it's own living room. Private pool nestled between the main house and the cottage. Two masters; one of the first floor and one upstairs. Extremely well done. Elevator. Many upgrades in the kitchen with white cabinets & appliances, granite counters and a gas cook top. Being sold furnished. One of the most unique Oceanside homes on the market today. Fireplace in the sitting room. Pool/hot tub. Separate wet bar. Would be a great rental home. Fabulous waterfront vacation residence with incredible rental history! 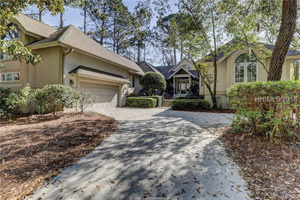 Wonderful beach oriented 5 bedroom, 4.5 bath home tucked away on a quiet cul-de-sac and surrounded by 280' of wrap around water views and just a short stroll or bike ride to the beach golf, tennis, restaurants and more. Featuring a huge covered front porch, incredible relaxing backyard setting with 32x12 screened-in porch, black bottom pool, multiple decking with hot tub, enclosed poolside sports bar/ billiard room & oversized garage with tremendous storage. Inside, find an architectural delight featuring 20' soaring ceilings, incredible light, walls of windows, fabulous living space two master suites, wood flooring, spacious eat-in kitchen with granite, SS appliances, Bosch 5-burner gas range and much more. Great rental income - over $140,000 in gross rentals! 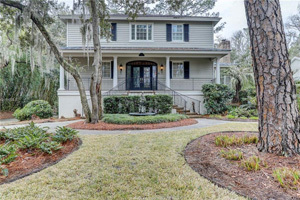 Newer style Low Country home with Charleston style front porch. 4 BR, 4.5 BA home & 2 car garage. The kitchen opens to a family room and a Carolina room. The kitchen features granite counters, tile back splash, lots of cabinets and stainless steel appliances including a gas cook top. Separate living room, dining room & office. Master on 1st floor. Tons of natural light flow through the home. Some features include: smooth painted ceilings, 2 fireplaces, hardwood floors, wainscoting & spray foam insulation. Two tiered rear decking & private heated pool. Can't beat the size, condition & price for this home. Spacious Master bedroom suite. Remodeled in 2009 & 2013. This Unique 4th Floor Villa has been recently updated to Light & Bright with new sliding glass doors overlooking the pool & long ocean views! This villa has tile throughout the main living areas, kitchen & baths for easy care plus carpet in the bedrooms for comfort. The kitchen has been completely upgraded with newer cabinetry, appliances, and granite tops. All bathrooms have newer vanities and granite as well. Enjoy the large covered balcony with amazing views of the complex pool, lush landscape & the beautiful Beach. 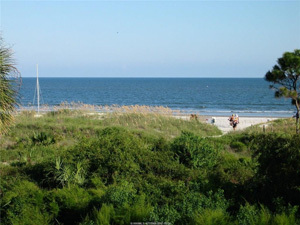 Shorewood is one of the Premier Ocean Front Villas in Forest Beach & is located close to shopping & dining at Coligny Plaza. Buy Now at Lower Prices & Rates Move Later. Spacious & open floor plan in "like new" condition. Several recent major improvements: new kitchen appliances, cabinets & tops. Master bath has been completely remodeled with beautiful furnishings & a large flat-screen over a jetted tub + a separate glass shower. All bathrooms have new granite tops. 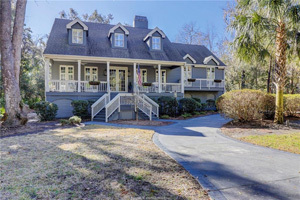 Large family room with fireplace & large Carolina Room. Master bedroom with sitting room + bookshelves and flat screen. Golf view of the 15th fairway from the Living Areas & Master Bedroom. Beautiful pool & patio that is well screened from the golf course. Impressive wooded lot with great curb appeal. You'll have to see the unobstructed Million $$ Views from this penthouse unit; these vistas are breathtaking. This is the nicest 2 BR top floor unit I have ever seen. Interior upgrades include granite countertops, hardwood flooring, new bathrooms & a professionally decorated interior. 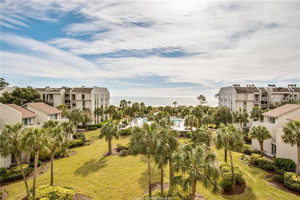 The Sea Crest has more amenities than any other ocean front complex on HHI - 2 ocean front pools (1 heated), a beachside cabana bar, large outdoor spa, water and floral gardens, fully equipped fitness center with a resistance pool + a spa, & secured parking. $55k+ in gross rentals in '14 - a Great Investment. Fantastic 2 story home with 4BR & 4.5BA plus a bonus room/small bedroom. Totally remodel from top to bottom in 2013/2014; virtually a NEW HOME! New hardwood floors, tile floors, tile surrounds, granite counter tops/new cabinets, new paint throughout plus the home was opened up from the original floor plan (partial walls removed, doorways converted to cased openings, etc.). Very nicely furnished with designer decor and a real showplace. Large deck off kitchen, 2 car garage with work shop and tons of storage throughout. A perfect new home, 2nd home, or excellent investment rental property. 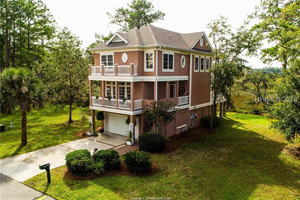 You can see for Miles & Miles: amazing views of the Intercoastal Waterway & the Old House Creek & Marsh. This home has been remodeled & looks new! It is a must see with a Great Floor Plan that has been Tastefully Decorated. The owner's have paid close attention to detail in making recent upgrades that include black walnut floors throughout (large tile in bathrooms and kitchen). A wall was removed between the kitchen & dining area, so the view can be enjoyed from everywhere on the first floor. 2 balconies on the front + 2 on the back have views. Large 2 car garage on ground level has lots of storage space; plus, a partially floored attic. The Perfect Villa: this Charleston Style Townhome is an end unit & enjoys the tranquility of a large landscaped area, like a park. Tastefully remodeled & decorated recently, it offers bamboo wood & tile floors (no carpet), granite tops, smooth ceilings, & updated bathrooms. 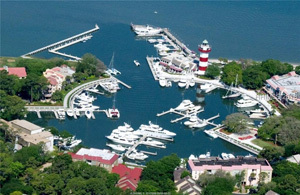 While located in a very quiet area, you are just a short walk to the Harbour Town Golf Links, Sea Pines Racquet Club & the Harbour Town Marina & Shops plus 4 Excellent Restaurants. 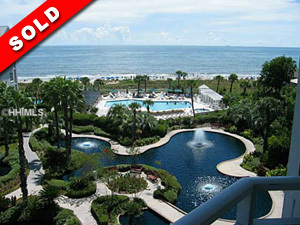 There are 2 pools to select from (Villa Pool & Harbour Town Pool) plus a Nature Walking Trail. 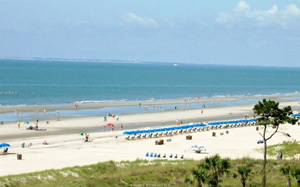 Catch the Trolley & enjoy a leisurely free ride to the Sea Pines Beach Club or South Beach Marina. Lagoon to fairway view! Features 3 bedrooms; 2 bedrooms are upstairs & Master on the 1st floor. Spacious floor plan with lots of storage. Dining area opens to the living room. Separate screened in porch. Spacious deck. 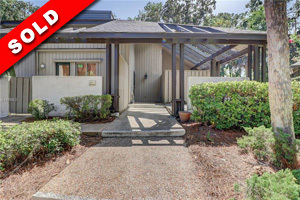 This unit is in a great location & close to the beach. Sometimes you come across a special property that you see once and then use the AWESOME word to describe it! Well, here it is, OCEAN VIEWS from this 1st floor completely renovated villa. Upgrades include: All new flooring, all new bathroom w/granite counter top, new vanity, new fixtures, totally new kitchen with custom cabinets, granite counter top w/eat in bar area, all new custom paint, smooth ceilings and more! This is being offered fully furnished! GREAT RENTALS. No need to search for a good buy on a Breakers that would require an additional $30k+ in remodeling to be the perfect villa. 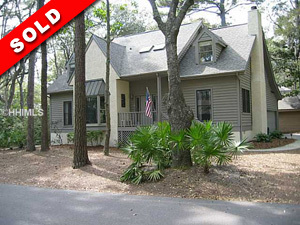 This new listing has been totally redesigned and remodeled with quality materials and is turnkey and ready to occupy. An excellent investment property (or 2nd home), fully furnished with quality furnishings, and tastefully decorated to today's standards. Every detail has been addressed to be the best of the best. A must see property with many unique features; this is the perfect villa.